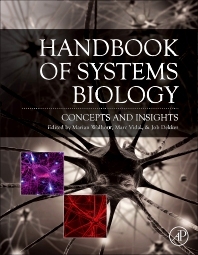 This book provides an entry point into Systems Biology for researchers in genetics, molecular biology, cell biology, microbiology and biomedical science to understand the key concepts to expanding their work. Chapters organized around broader themes of Organelles and Organisms, Systems Properties of Biological Processes, Cellular Networks, and Systems Biology and Disease discuss the development of concepts, the current applications, and the future prospects. Emphasis is placed on concepts and insights into the multi-disciplinary nature of the field as well as the importance of systems biology in human biological research. Technology, being an extremely important aspect of scientific progress overall, and in the creation of new fields in particular, is discussed in 'boxes' within each chapter to relate to appropriate topics.